Welcome to the Wilderness Committee's Wholesale Department! Get fabulous discounts on our green products, custom printing and more! For over 35 years the Wilderness Committee has been preserving Canada's endangered wilderness and wildlife. Every year we produce spectacular, environmentally-friendly calendars and greeting cards which help in our conservation efforts, and offer them to you at wholesale prices for retail businesses, companies, school fundraising campaigns, and more. This new single calendar combines the best photos of stunning wilderness areas such as the Walbran Valley on Vancouver Island and Algonquin Provincial parkin Ontario to iconic at-risk species including the elusive southern mountain caribou and the majestic polar bear. Click on the calendar title to view details and inside images. 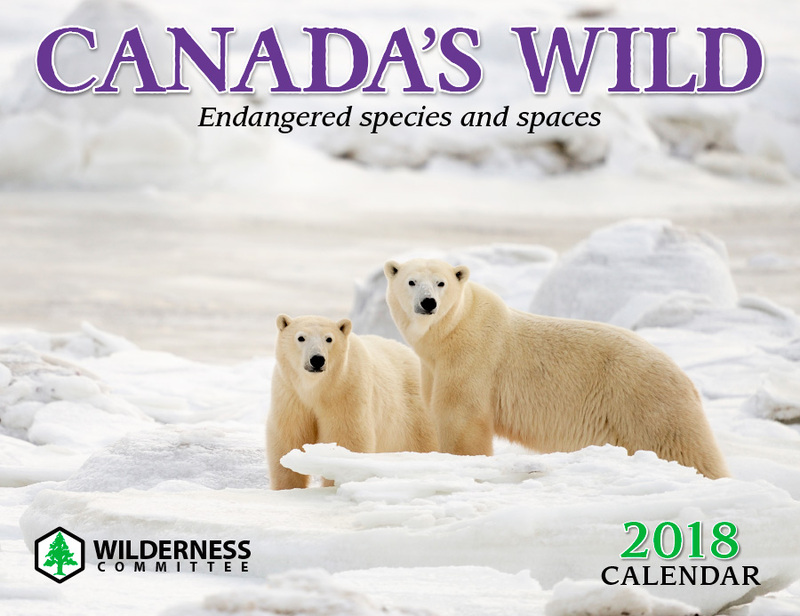 For many years, our greeting cards and calendars have been used as fundraising tools by schools and organizations to support their own projects while increasing awareness of wilderness and wildlife in Canada. We are pleased to offer these items at wholesale prices for your group's fundraising efforts. We also offer custom printing services on our greeting cards and ideas for your green wedding or special event. We are happy to work with you to assemble the wholesale package that will best suit your needs. For more information or to customize your order, please contact our Wholesale Department. All our calendars and cards are produced with the highest environmental standard of printing. We use Forest Stewardship Council certified paper with post-consumer content, processed chlorine-free with vegetable-based inks and varnishes, which saves trees, energy, landfill space and water.